The King parrots came in for a free feed of sunflower seeds and sat on my head and the camera lens, then a couple of rather shy Crimson rosellas crept in for a quiet feed on the side. Such beautiful colour - our birds are not so 'lively' well done! @annied @quietpurplehaze @beachdog @gilbertwood @gigiflower thanks so much friends for enthusiastic comments and favs to push us trending so quickly!! Much appreciated. Fabulous close up and amazing detail. ; Love the glint in his eye. I love the red, and blue! Great focus, and detail. 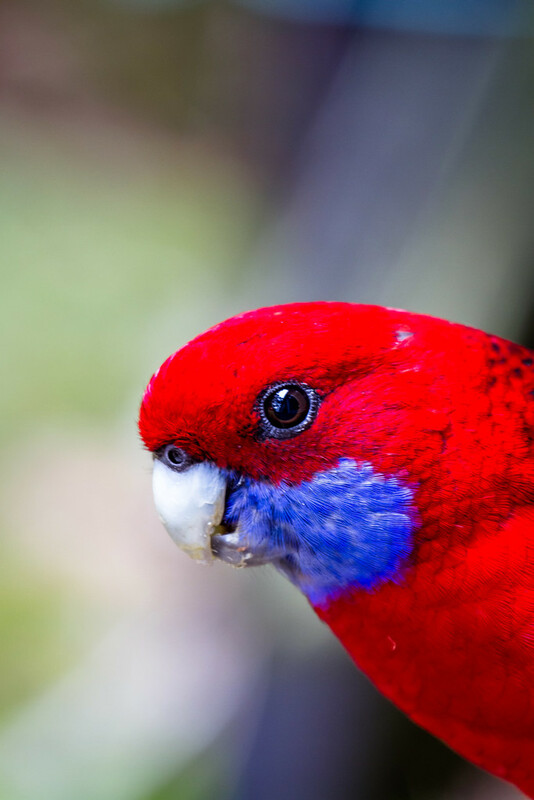 Wonderful portrait of this Crimson Rosella. How wonderful in detail and colour. The reflection in the eye makes it perfect for me. And btw, thanks for the follow. Lovely shot Wylie. Love the Crimsons, . . . and the Kings, . . .
@hermann @thresheg @onewing @pammerritt @vstap @digitalrn @mona65 @ninaganci @carolmw @terryliv @stevej @777margo thanks so much everyone for your generous comments, really appreciate all your favs and pushing us on the trending page! What beautiful colors! Great detail and love those eyes! I guess I should say, "Love that eye!"